Granville Station Dental is home to a team of experienced and compassionate professionals who are dedicated to providing warm, friendly oral care and ensuring your dental needs are their number one priority. Back in elementary school, my dentist was a very ill-tempered and non-caring dentist. I made a vow that I would become a dentist that will make patients feel comfortable with me and at the same time offer the best treatment for them. To me, dentistry is more than looking at teeth; it involves interaction, understanding the needs of my patients (influenced by their personality) and catering to them. Today, I am happily practicing dentistry and seeing that my patients are satisfied with me and my treatment.Nothing pleases me more than a patient saying that they had a positive experience with me during and after their treatment. I participate on a yearly period in a fundraising campaign for the Surrey food bank. We also as a practice help support a little boy through Vision Canada. I speak both Farsi and English. As for my hobbies – I enjoy playing billiards and participating in different tournaments. Dr. Esposito was born and raised in Vancouver, BC. He graduated from the UBC Faculty of Dentistry with a DMD degree and was accepted into Omicron Kappa Upsilon Honors Dental Society in 1993. Dr. Esposito has practiced in Vancouver since 1993, all the while taking post-graduate courses and continuing education in Endodontics, Cosmetic Dentistry, Laser Dentistry, Orthodontics and Invisalign Certification. Most recently, he has focused his studies on TMJ treatment to alleviate problems originating from the jaw joint that cause headaches. He has been a member of the International Association for Orthodontics since 2002 and was a member of the Focus Study Group for Occlusal Harmony. Dr. Anastasia Gorobtsova is passionate about providing excellent patient care. Having been raised by a family of dentists, her interest in dentistry developed from a very young age. After receiving her degree in Russia, she obtained her DMD at the University of British Columbia. Dr. Gorobtsova enjoys practicing general dentistry and provides a wide range of services. She endeavors to ensure that quality dental work is done, that her patients are cared for and that they leave with a positive dental experience. Dr. Gorobtsova is delighted to take the time to discuss treatment options with you. Dentistry is changing constantly. Dr. Gorobtsova believes in keeping up with new developments in techniques and technology. To provide you with the best care and most up to date dental techniques, she attends various study clubs and continuing education seminars. Also, she is a member of Canadian Dental Association, College of Dental Surgeons of British Columbia, and Academy of General Dentistry. Dr. Venus Nemati, General Dentist, graduated with a Doctorate of Dental Surgery from Shiraz University in 2009. She moved to North America in 2009 and completed her dental degree at the University of Washington in the United States in 2016. Dr. Nemati has a strong interest in all aspects of general dentistry including cosmetic dentistry, Invisalign® clear aligners, extractions, root canals, crowns, and bridges. 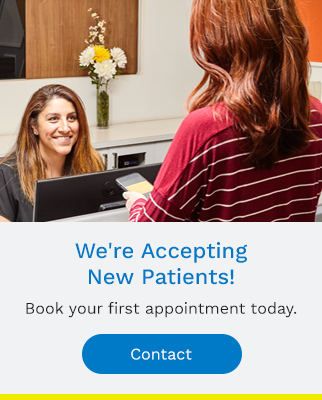 Dr. Nemati’s goal is to provide the best experience and care possible to all patients while ensuring that they are comfortable while in the chair. She easily can establish an excellent rapport with patients from various different cultural backgrounds. Her mission is to help people have a beautiful smile! Dr. Nemati attends continuing education courses and stays up-to-date with all the latest advances in the various fields of dentistry. She is a member of the British Columbia, Canadian, and American Dental Associations, Member of American Academy of General Dentistry and American Academy of Cosmetic Dentistry. Dr. Hanjani was raised in Vancouver, British Columbia. She holds a degree in both dental hygiene and dentistry. She received her Doctor of Medical Dentistry (DMD) from UBC and is now practicing general dentistry. She enjoys all aspects of dentistry and strives to provide her patients with the highest level of care. Dr. Hanjani is an active member of a number of dental organizations including the Canadian Dental Association, the College of Dental Surgeons of British Columbia, and the British Columbia Dental Association. She attends continuing education courses and stays up-to-date with the latest advances in the various fields of dentistry. Pouneh is proud to work in collaboration with a team of professionals who share a common belief in the importance of quality care in the delivery and promotion of oral health and overall wellness. Connect with our office today to schedule an appointment with one of our family dentists.